Disney has released an Epic Mickey video that is a must see for Train2Game Artist & Animators. The Epic Mickey ‘The Anatomy of the Animation’ video, shows the amount of effort the animators have put in to make the game characters look and move like authentic Disney characters. Warren Spector says it’s Mickey Mouse in motion that “makes Mickey” and that the way he moves is “critical.” Which is why the Epic Disney animators spent so long analysing Mickey cartoons from when he first appeared along with more recent motion pictures. Spector says they have all of the Mickey Mouse Cartoons and all of the Oswald the Rabbit cartoons and the team spent a lot of time watching them! The video shows that Junction Point are very aware they’ve needed to make Mickey perfect, and they even consulted with the likes of Pixar and the Disney animators about how to make this so in Epic Mickey. Warren Spector claims that in his 30 year career he’s never seen animators who go into as much detail as those at Disney. So, how is the animation of Disney shaping up? You can find out for yourself by watching the Epic Mickey Anatomy of Animation trailer below. So Train2Game, how good you think the animation of Epic Mickey is? Have the animators nailed the authentic Disney look? 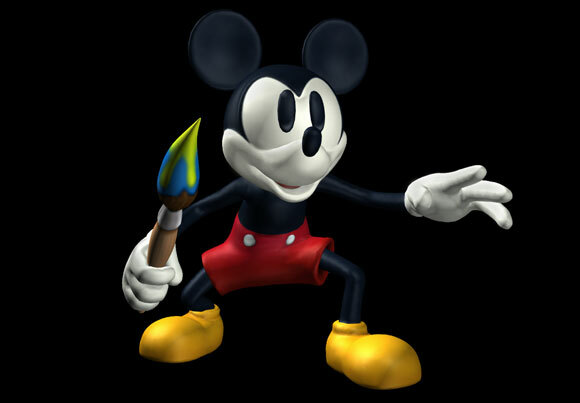 And who is looking forward to Epic Mickey? You can leave your thoughts on Epic Mickey here on the Train2Game blog, or on the Train2Game forum. This entry was posted in games, Train2Game and tagged Disney, Epic Mickey, Games Animation, Nintendo Wii, Train2Game by Train2Game Blogger Team. Bookmark the permalink. Very nice vid, The mickey mouse animation looks incredible. I hope I can animate like that some day.